Destiny USA's current expansion (the white-roofed portion seen above) will be its last, according to the mall's developer and city officials. There will be no skyscraper hotel. No glass-enclosed "Tuscan" village. Syracuse Mayor Stephanie Miner announced Wednesday that the expansion of Carousel Mall is finished. Those grandiose artist renderings will remain just that. And while the name will still change to Destiny USA, it will hardly be the Disney World-like destination that developer Robert Congel sold the city on years ago. In 2007, Congel told city officials that the current expansion project would be the first of three, according to The Post-Standard. WRVO now reports that Congel has told city officials it will be the last. The Post-Standard reported this morning that the deadline for Destiny USA to break ground on another expansion was midnight tonight. If there was no action, the mall would lose out on tax credits. This came after Congel made payments to the city to win a series of deadline extensions. [D]eveloper Robert Congel's tax deal with the city is set to expire at midnight tonight if Congel has not started building a second expansion. That's happened twice before. Just like before, the sides have said little or nothing in the days leading up to the deadline. The front page article in this morning's paper prompted Miner to hold a late morning press conference. There, according to The Post-Standard, Miner said expansion would go no further. Miner said developer Robert Congel told city officials Tuesday that the expansion of Carousel Center mall known as Destiny USA will go no further, despite years of promises by Congel that it would eventually mushroom into a major tourist attraction on par with Disney World. The announcement brings an end to the "public participation" phase of the project. Any future additions to the mall would be taxable, according to YNN. But here's the catch: Miner says the city will not begin collecting property taxes on the mall - which is in the midst of a 30-year payment-in-lieu-of-taxes deal - until 2037. We reported last June that the property tax exemption is valued at about $17 million a year. Congel's only payments to the city will be the balance he owes on a $60 million project fee he has to pay to the Syracuse Industrial Development Agency for issuing bonds on the project. That will amount to about $3.1 million per year for about six more years. Miner has been a staunch opponent of Destiny USA since serving as a Syracuse common councilor in the 2000s. She was quoted in The Post-Standard today as saying, "I believed Syracuse's destiny was not a shopping mall. I continue to believe that now." It's a somewhat stunning end to a quixotic project buoyed by federal, state and local tax incentives. Here's a handy project timeline assembled by The Post-Standard. What to say about DestiNY USA? 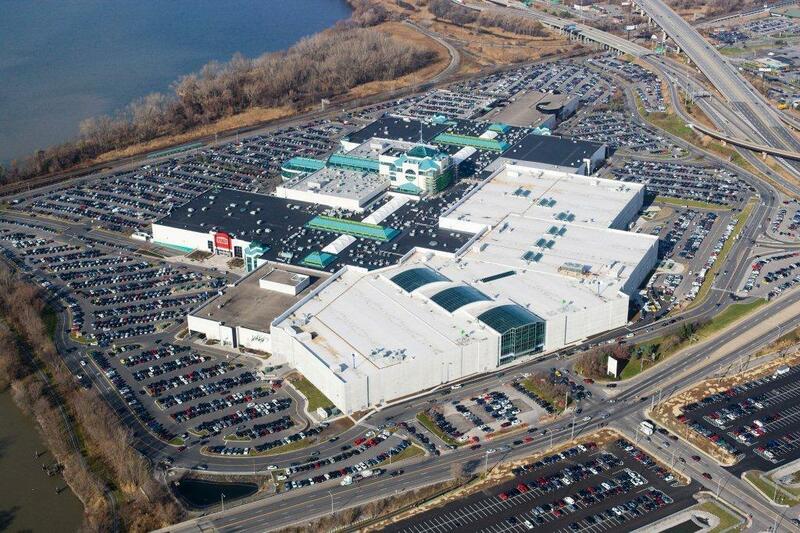 The ongoing saga of promises to create the biggest, greenest mall upstate has ever seen is still, well, ongoing. Why? Delays, budget overruns and litigation. The latest development took place earlier this month: the City of Syracuse agreed to extend tax breaks six more months, in exchange for $1 million from developer Bob Congel.